Searching questions ranging from Nick Skelton to Skeletor. 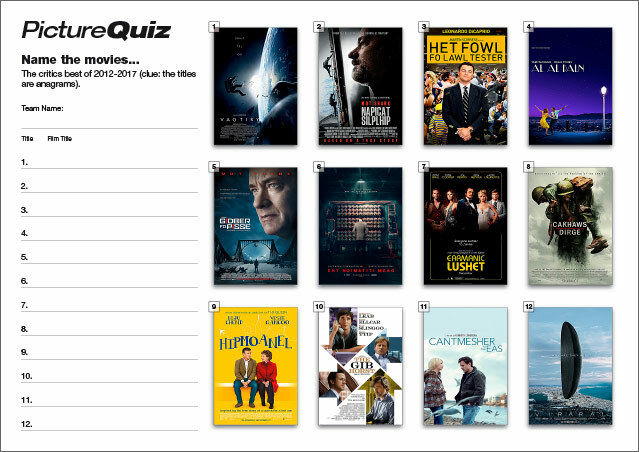 The Picture Round is can you name The Movies and the Wild Card is a record timing difference by the distance runner Paula Radcliffe. Q16. Which Belgian/Australian musician teamed up with a Kiwi known as Kimbra for the biggest selling UK single of 2012? Q28. With which sport would you associate Nick Skelton OBE? Q31. Who’s archenemy is skeletor? Here’s a low-res sample of the Name The Movies Picture Round, click for a higher resolution version. The download is a three page PDF with the answers on page two and the original posters on page 3. Quiz 072s Wild Card Question is an interesting timing difference between two records that Paula Radcliffe holds for the London Marathon?